The scientific method is one of the most basic and essential concepts across the sciences, ensuring that investigations are carried out with precision and thoroughness. The scientific method is typically taught as a step-by-step approach, but real examples from history are not always given. 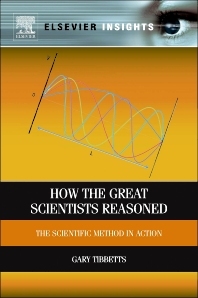 This book teaches the basic modes of scientific thought, not by philosophical generalizations, but by illustrating in detail how great scientists from across the sciences solved problems using scientific reason. Examples include Christopher Columbus, Joseph Priestly, Antoine Lavoisier, Michael Faraday, Wilhelm Röntgen, Max Planck, Albert Einstein, and Niels Bohr. Written by a successful research physicist who has engaged in many studies and years of research, all in the attempt to extract the secrets of nature, this book captures the excitement and joy of research. The process of scientific discovery is as delightfully absorbing, as complex, and as profoundly human as falling in love. It can be a roller coaster ride of despairing valleys and exhilarating highs. This book sketches the powerful reasoning that led to many different discoveries, but also celebrates the "ah-ha moments" experienced by each scientist, letting readers share the thrilling instant when each scientist reached the critical revelation in his research. Appropriate for students and researchers from all disciplines who want to learn more about historical scientific reasoning. 10.2 What Thought Processes Lead to Innovation? 10.3 Is the Scientist an Outsider? 10.6 Can the Scientific Method Be Applied to Public Policy? 10.7 Why So Little Interest in Science?